Whether it’s the fluoride in toothpastes, the sulfates in hand soap, or the synthetic coloring in mouthwash, the products we use to keep ourselves clean don’t always do much to keep our bodies healthy. We’re constantly exposed to chemicals when we leave our home, so why should we give them free reign in our homes as well? 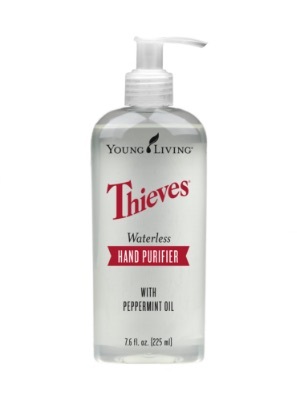 Thanks to Young Living’s Thieves Collection, we don’t have to! Optimize your oral health with Thieves toothpastes, floss, and mouthwash. Defend your immune system while keeping your hands clean and soft with Thieves soaps and hand sanitizer. Thieves Foaming Hand Soap makes it easy to lather, rinse, and get on your way! With a plant-based, instant-foam formula, skin is left feeling clean and refreshed but never over-dried. Plus, you’ll love the lingering citrus-spice aroma of our proprietary Thieves® blend of Clove, Lemon Cinnamon, Eucalyptus and Rosemary. Refill size also available. 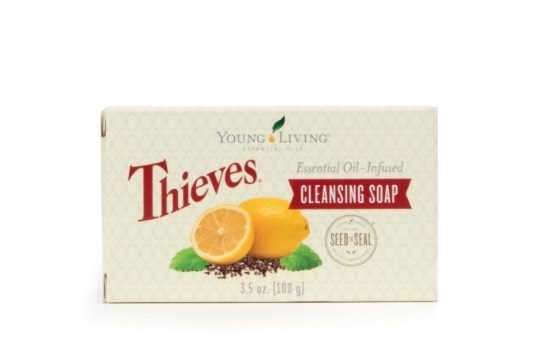 Thieves® Cleansing Soap offers cleansing benefits, plus the power of pure essential oils. Containing the legendary Thieves oil blend, this bar soap is ideal for purifying the skin. A perfect replacement for those standard bar soaps that dry your skin out. Young Living’s AromaBright Toothpaste gently brushes away daily buildup and helps combat the effects of unsightly staining. It’s tough on buildup, but its smooth, plant-based formula is gentle on teeth and their delicate enamel. Peppermint, Spearmint, and Cinnamon Bark essential oils, along with our popular Thieves blend, give this toothpaste a sweet spicy-mint flavor and freshen breath—all without synthetic dyes, artificial flavors, or preservatives. Also available in 2 oz. travel size (5-pack)! Discover a new level of clean with Thieves® Dentarome® Plus Toothpaste. Naturally derived ingredients such as baking soda and Thieves essential oil blend gently lift stains for brilliantly clean teeth. The minty combination of Peppermint and Wintergreen essential oils add to the refreshing flavor. 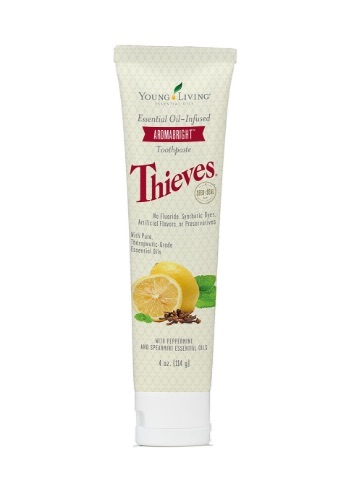 Combat the effects of normal staining with Young Living’s Thieves® Dentarome Ultra Toothpaste. Infused with our popular Thieves oil blend, Dentarome Ultra uses essential oils and naturally derived ingredients for a fresh, clean mouth. You’ll get the power of a conventional toothpaste without any of the fluoride, dyes, or preservatives. The formula in Dentarome Ultra Toothpaste will help you gently brush away daily buildup to reveal a sparkling, healthy-looking smile and fresh breath all day. 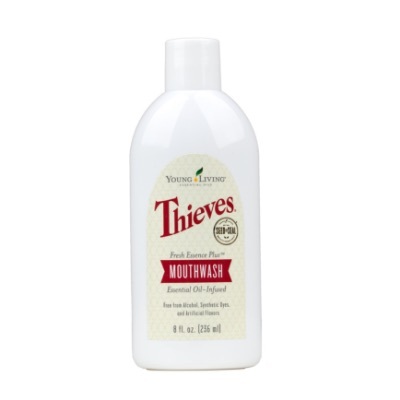 Young Living’s Thieves Fresh Essence Plus Mouthwash freshens and provides a whole-mouth clean using our signature Thieves® oil blend—a carefully crafted mix of Clove, Lemon, Cinnamon, Eucalyptus, and Rosemary essential oils. Your teeth and gums will benefit from an invigorating clean that’s free from harsh alcohol and artificial dyes and flavors. The spicy-sweet flavor of Thieves combined with Spearmint and Peppermint will leave you with fresh breath and a pleasant taste to give you the confidence you need to face the day. 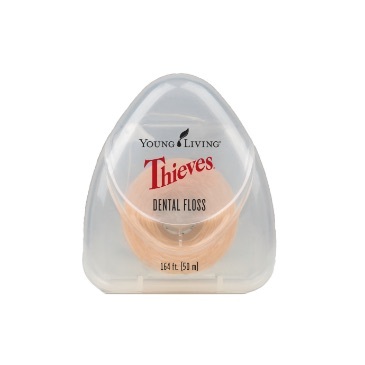 Thieves® Dental Floss is made with strong fibers that resist fraying and easily glide between teeth for those hard-to-reach places. Saturated twice, this hard-wearing floss provides two layers of essential oils, offering double the protection to freshen your breath. Long-lasting Thieves® Waterless Hand Purifier is enhanced with natural Peppermint oil to cleanse and purify hands. Available in a 7.5 oz. pump bottle for your home and a 1 oz. portable bottle for on-the-go cleaning.